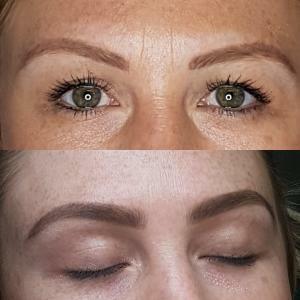 “I’ve lived in a really small village in County Durham all my life and have spent the last few years working as a Personal Assistant, so HD Brows is completely out of my comfort zone. I really wanted to challenge myself and have always had a love for beauty treatments. 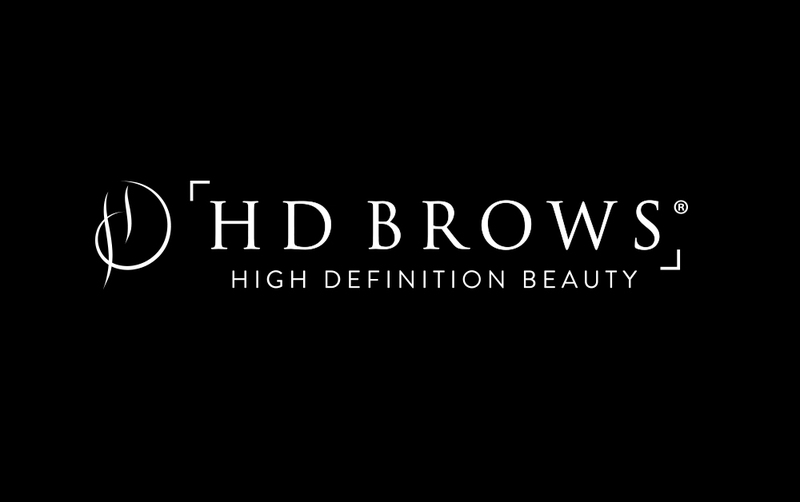 HD Brows are very recognised as a high end brow treatment and I love the whole ‘HD look’. A few months ago I just decided to go for it. On September 14th I travelled to Leeds, which is 2 hours from home, and completed my HD Stylist training. It was two very tiring but amazing days! To view more of Jessica’s beautiful brow work, check out her Instagram. “People who say they slept like a baby obviously never had one. Tired of walking in to the office finding snot on my trouser leg and Cheerio’s falling out of my notebook, I decided something had to change. 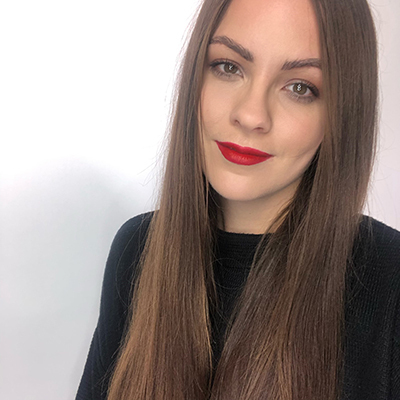 I had ticked all the career boxes: I was a marketing manager for a global brand, flying across Europe for photoshoots and delivering marketing presentations. But at the same time I was sinking with the guilt that only us working mums know. Balancing work and family is never easy and at just 25 I felt like I had completely failed as a mum. Something had to change. Starting something new is scary because there’s a good chance it could fail and the onus would be completely on you, but you have to learn to overcome the fears. Forget what might go wrong and think about what might go right. I’ve grown up in a family of fierce independent women, instilled with grit and a ‘work hard’ ethic. My sister is my best friend (not to mention an amazing HD Brows Stylist), she introduced me to HD Brows and the rest is history. Training was fun, I walked through the doors full of anticipation and left full of confidence and skill. But the best thing about training was the people I met. I trained with 6 other amazing women; we don’t see each other as competition, we’ve built a tribe of girls who support each other and share each other’s work across all of our networks and help each other grow. We all have a different style and if someone wants to come to me, they want my style, if they want to go to someone else they will. There’s no problem with that. Have confidence in your offering and experience you give to every client. That’s the HD Brows culture and it’s priceless. Follow Hannah’s exciting new journey on Instagram. “I decided to take the plunge and do the High Definition training after leaving my last job following maternity leave. It was time to learn something new after working as a make-up artist for 12 years. I can’t say I wasn’t nervous to begin with, but those nerves quickly disappeared as soon as I arrived at the academy. The HD Brows trainers were so down to earth and welcoming. Training was fun and interactive, and I learnt more than I would ever have imagined. 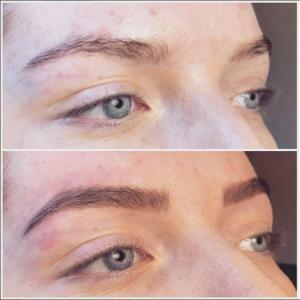 “Having trained with Karen Betts & the elite team at Nouveau in Permanent Cosmetics, I gathered I knew everything that I needed to know about brows…. I couldn’t have been more wrong! 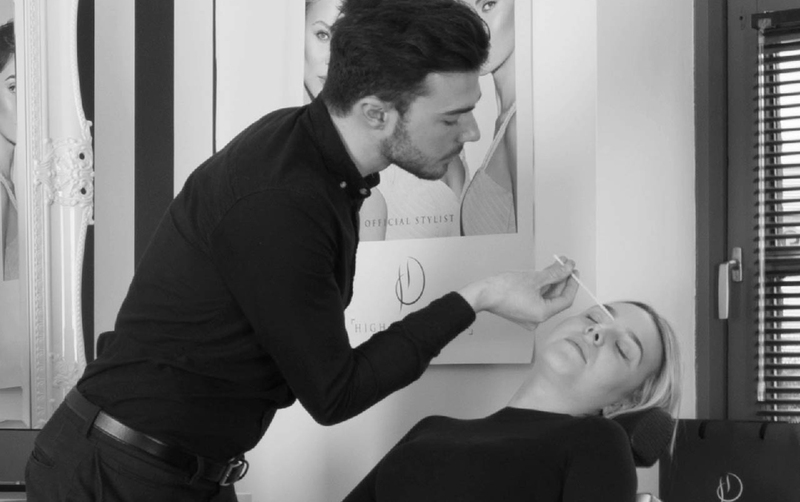 The 2 day HD Brows training course covered everything and more. 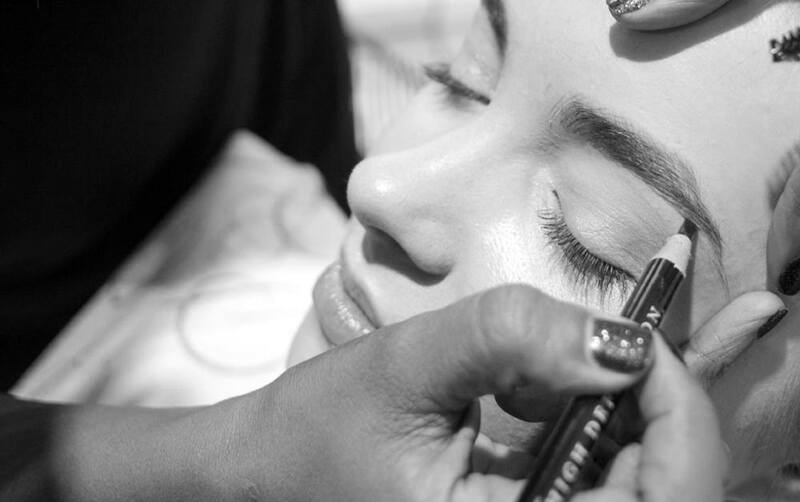 I learnt so much more about brows, from the re-growth plans to being educated on the finishing touches with make up. The team taught me new ways of designing and measuring brows, giving me lots of important information for me to give clients the best HD Brows experience. 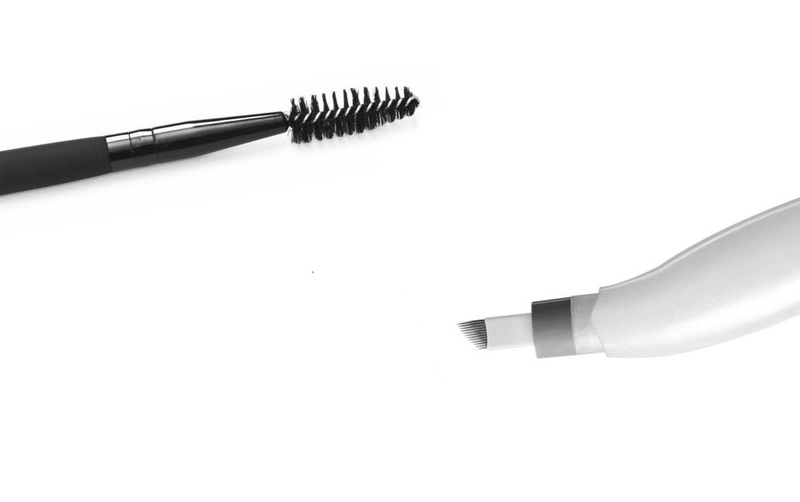 So far I have completed two HD Brows treatments and can honestly say it’s so rewarding seeing the end results. 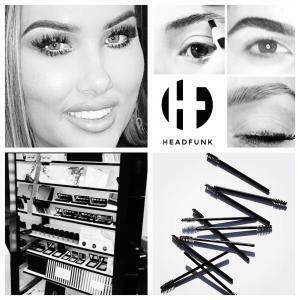 Keep up with Nicola’s brow work over on Instagram. 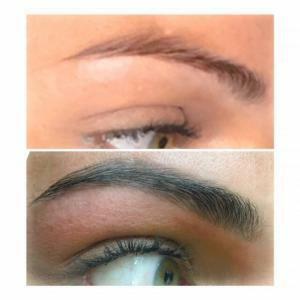 “My name is Lauren, I am 27 and have just completed the HD Brows training. Up until now I have been a support worker for the NHS so this is a big career change for me, but I have always been passionate about beauty, especially brows! I come from a long line of business owners; my sister owns a hair salon in Sheffield called Headfunk. She would frequently be asked by customers if the salon does HD Brows. We started to notice there was a gap in the market, so I thought to myself ‘why not?’ That’s when Arch Brow Bar was born! I finished my HD training on the Friday and by the Monday my diary was already filling up. My own little business is forming in front of my eyes and it’s the best choice I have ever made. I have also opted to become a salon stockist and the products are proving to be very popular, they sell themselves! The stand is beautiful and really gives the salon that extra wow factor. I was so nervous going on the course because I had never done anything like it before, but as soon as I walked into the HD studio the girls put me at ease. By the second day of training I walked out feeling confident and ready to start transforming people’s brows! Check out Lauren’s gorgeous HD Brows transformations on Instagram and Facebook. We’ll be catching up with the girls again in a few months to check in at the next step in their HD Brows journey and see how they’re getting on. If you like the work you’ve seen here, check if these stylists are local to you using our Salon Finder. Hi.. 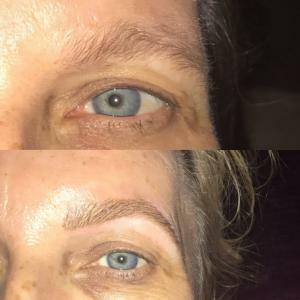 I own a small salon in sydney australia and I’m wondering how I would go about becoming an HD brow expert?